Rising fuel costs and growing eco-consciousness mean that bicycles are a more popular mode of transportation than ever. But increasing numbers of bikes on the roads mean increasing numbers of collisions - events that may lead to injury, disfigurement, and death. Bicycle accidents take place on all kinds of roads, in all types of weather, under all types of conditions. However, some conditions are more dangerous than others. Generally, intersections are the most dangerous place for cyclists, who can be struck by a vehicle that disregards the cyclist's right-of-way or refuses to yield. Merging, turning, and stopping are all risky actions for cyclists, who are no match for the weight or speed of passenger vehicles. At Breyer Law Offices, P.C., our bike accident lawyers in Phoenix have handled many cases for injured bicyclists, earning a long list of favorable verdicts and settlements on our clients' behalf. We understand the legal system and can give you the support you seek while helping you receive compensation for your injuries. Bike riding on designated bike lane, [I]was hurled from bike [by a] deep groove. [I] suffered broken bones and hospital & nursing home stay. Hired Breyer Law Offices, P.C., so that road would be fixed & also for compensation for injuries & suffering. Breyer Law held our hands beautifully & compassionately through the process. Thank you! If you were recently involved in an accident while cycling and you are unsure how to proceed, our Phoenix bike accident attorneys have provided the following FAQs to answer some of the questions you may have. When can I seek compensation for injuries sustained because of a bicycle accident? How common are bike accidents in Arizona? Do I have a lot of time to file my bike accident claim? If you were in an accident involving a motorist and you feel the driver of the truck or car was at fault, you may file a personal injury claim. Negligent or distracted drivers can be held liable for the injuries and damages that resulted from the accident. Usually. But until all drivers pay full attention to the road, obey all laws, and give cyclists the room they need, bike accidents will continue to occur. However, there are things that cyclists can do to help lessen the chances of an accident. Proactive measures include installing headlights on bikes and wearing clothing that will be highly visible to motorists. In 2014, the Arizona Department of Transportation estimated that there were over 1,700 accidents involving bicycles along state roadways. Almost 84% of these crashes resulted in the cyclist being injured. Of those, almost 30 were fatal. While this only accounts for roughly 1.5% of the total number of traffic accidents in Arizona that year, remember that most of these accidents could have been prevented. The fact is, bicycle accidents are far too common in Phoenix and across the country. According to the United States Department of Transportation (DOT), over 50% of all bike collisions take place on major roadways, and 2% of all traffic injuries and deaths involve cyclists. The state of Arizona maintains a statute of limitations on all personal injury claims. This means that unless you meet the required deadline, you lose your chance at compensation. We recommend contacting our firm as soon as possible to discuss your case - call (602) 267-1280 for a free consultation. As a cyclist, you hope that motorists will always pay attention to you, but they don't. Although there are efforts out in the community to change that, you've got to be ready for the harsh reality that your physical safety is at risk every time you get on a bicycle. Drivers, of course, are not the only problem out on the road. Lack of signage, road shoulders, and bike lanes all contribute to serious accidents involving bicyclists. However, driver inattention is still the most common precursor to the collisions that injure bicycle riders. Bone fractures. When you are hit by a vehicle, you will most likely be thrown from your bicycle and hit the ground. In addition, you'll sustain injuries caused by the impact with the vehicle. Cyclists are most likely to sustain fractures to the arms, legs, wrists, ankles, back, neck, face, collarbone, and pelvis, but other body parts can be fractured as well. Multiple fractures are possible in the same accident. Bone fractures can take months to heal, if not years. If your fracture is severe enough, you may need surgery to set the bone and help your body heal properly. For cyclists who sustain multiple fractures, the road to recovery is even longer. In most cases, it is impossible to work full-time. This means that you will be unable to earn a living while you are healing from your injuries. Head injuries. Even if riders take the precaution of wearing a helmet, head injuries can still happen, including skull fractures, contusions, concussions, traumatic brain injury, and intracranial bleeding. After a head injury, victims can suffer many devastating and long-lasting side effects, including headaches; memory loss; difficulty concentrating; chronic pain; irritability; insomnia; seizures; difficulty walking; difficulty talking, seeing, or hearing; and loss of mental function. An injured individual may require medical care, surgery, therapy and substantial time away from work. In some cases, returning to work may not be possible at all. Spinal injuries. You could suffer compression of the spine, which may be caused by hitting the pavement, an inanimate object, or being sandwiched between your bicycle and the vehicle. The accident could sever your spinal cord, which typically results in death or permanent paralysis. You could suffer slipped discs, which can be repaired with therapy or surgery, but significantly impair your ability to live your life with full enjoyment for months or even years. Other spinal injuries also require significant therapy, ongoing medical care, or multiple surgeries to treat. In addition, you could lose your ability to stand, walk, exercise, or even hold down a job. Because bike accidents often end in severe injury, victims can require extensive treatment, ranging from temporary intensive care to long-term medical attention. While insurance may be able to cover some costs, it probably won’t cover them all. Because of this, victims end up paying for treatment out of pocket, which can quickly add up. Economic damages - the hard costs of your accident (such as medical bills, hospital arrangements, lost wages, and emergency transportation). Non-economic damages - the intangible costs that have a profound impact on your quality of life. This can include pain and suffering and loss of consortium. 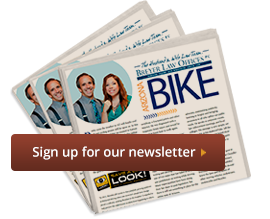 Not all fatal bike crashes can result in a wrongful death claim. A wrongful death is one that is caused by someone else's negligent or reckless behavior, and usually, such claims can only be brought by immediate family members of the victim, such as the spouse, parents, or children. For example, if a fatal crash was caused by a drunk driver, family members must file a wrongful death claim in civil court and prove that the at-fault party's negligence or wrongdoing caused the fatal collision. A number of fatal bicycle collisions in Phoenix are caused by negligent drivers. The experienced Phoenix wrongful death attorneys at Breyer Law Offices, P.C., help families of deceased victims seek and obtain fair compensation and hold the at-fault parties accountable for their negligence. When you have suffered serious personal injury because of another party's carelessness, irresponsible behavior, or negligence, you may be able to pursue a claim to recover damages from the offending party. We know that bicyclists are at risk of accidents for many reasons: the size of the bike, the design of the road, and inclement weather. But most bike accident injuries are due to the carelessness of motor vehicle drivers. Since 1996, Breyer Law Offices, P.C. has helped protect the rights of Phoenix residents after bike accident injuries. Breyer Law Offices, P.C., only practices injury and wrongful death law. Mark Breyer is a certified specialist in injury and wrongful death, a certification held by less than 2% of Arizona lawyers. We have successfully handled hundreds of cases for injured bicyclists. We understand the legal challenges families face while coping with their grief and loss. We are here to take the burden of the legal process off their shoulders, help them cope, and obtain the resources and support they need during this difficult time. Call us at (602) 267-1280 for a free consultation and comprehensive case evaluation. How Do Arizona Bicycle Accidents Happen?